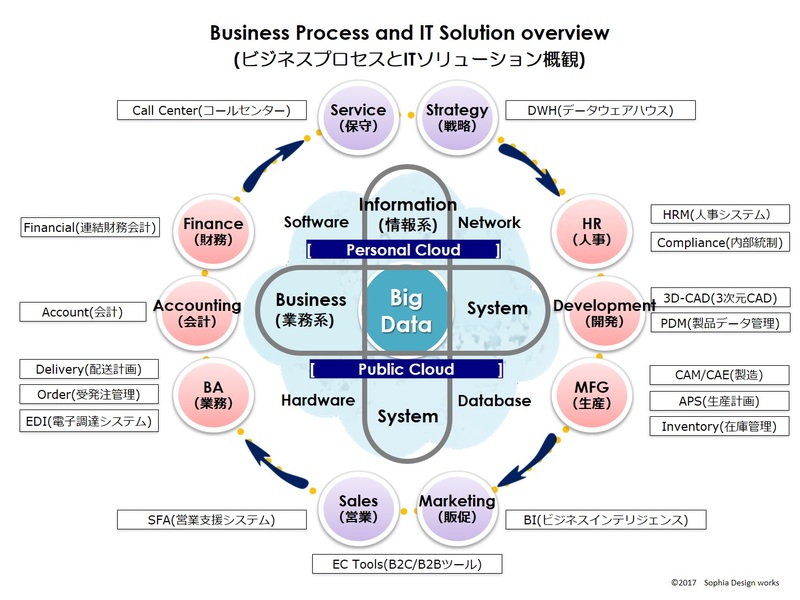 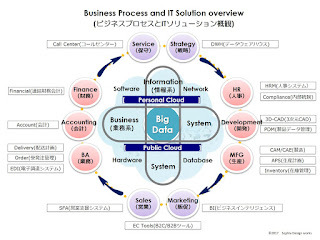 The essence of the corporate management information system (Corp. MIS) does not change, but with the progress of science and technology surrounding computers, the establishment of a "cloud environment" inside and outside the company, and the method of utilizing increasing "big data" are drawing attention. 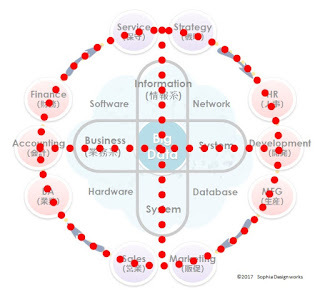 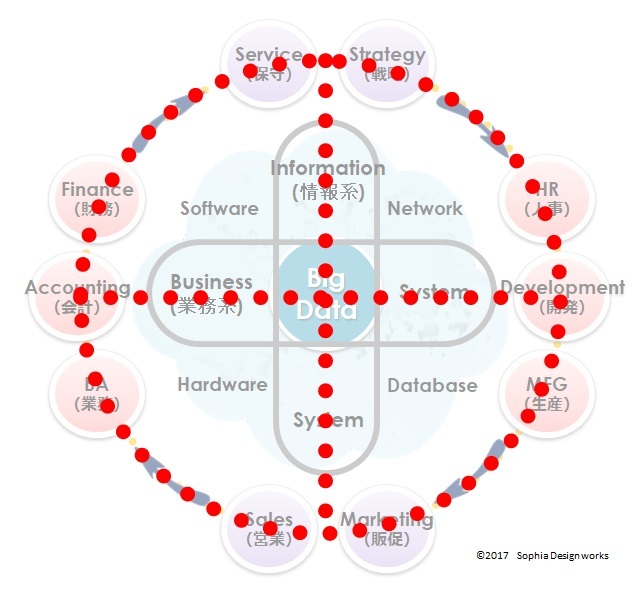 The circle around the periphery shows the business process of the enterprise. 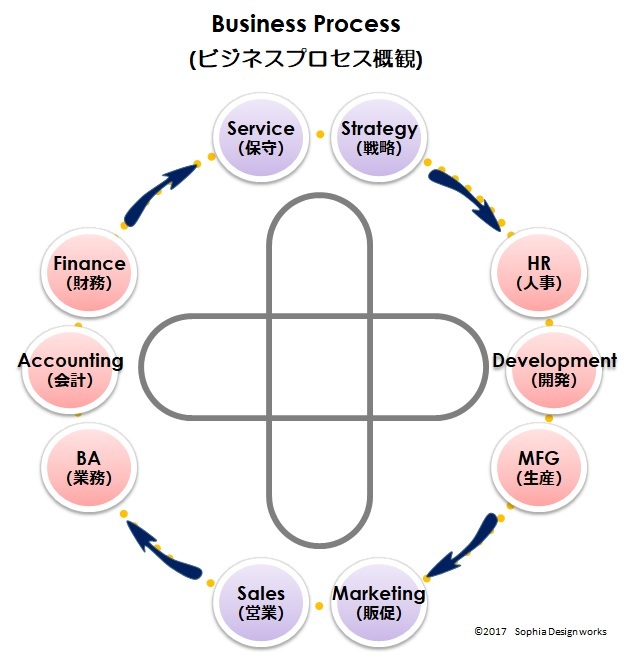 When a company conducts a business (eg manufacturing industry), it is necessary to formulate a strategy, establish a division in charge of each task, create products, sell and order, sell products, deliver products, collect and maintain expenses will be carried out. 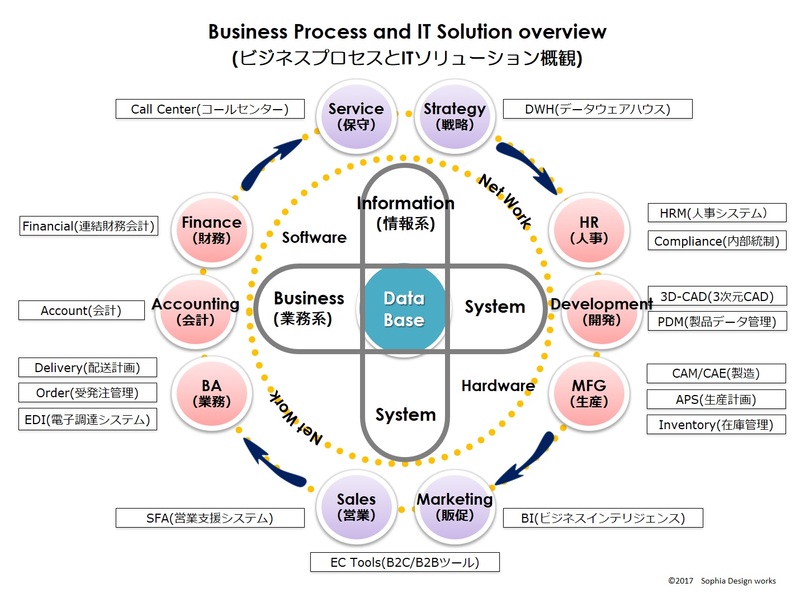 Initially, the main task of the service department was maintaining the product, but as the call center evolved, claim information eventually became useful for the next stage corporate strategy. For this reason, the business cycle will become the process of evolving while circulating. 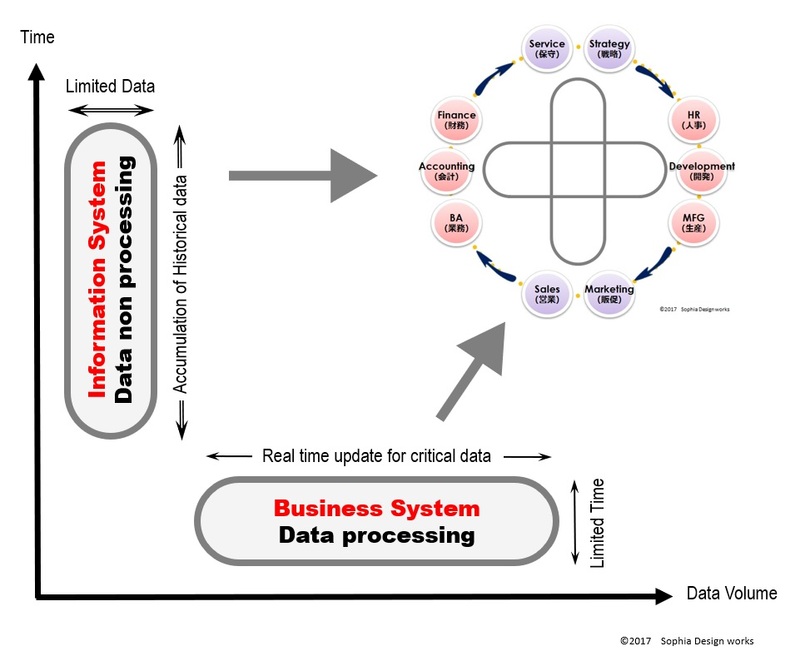 Because the information system "accumulates necessary information for a long time in a large amount", it becomes easy to understand by placing it on the vertical axis. 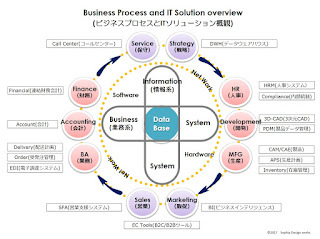 Reminder Symbol for Corp. MIS is "Earth"